Randy Cox has been named Corey LaJoie’s new crew chief on the No. 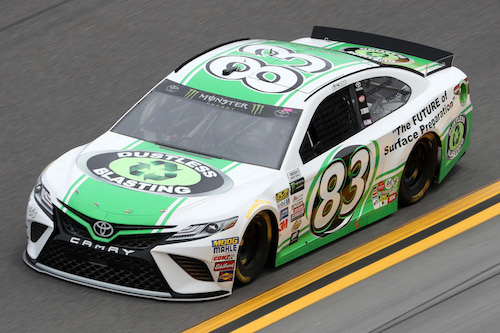 83 BK Racing Toyota team in the Monster Energy NASCAR Cup Series. Cox will be LaJoie’s third crew chief on the No. 83 team in 2017, just seven races into the season. LaJoie started the year with Doug Richert, with Ryan Dubois taking over after three races. Cox has been a crew chief at BK Racing before, as he held the position with the organizations No. 26 team with Cole Whitt as driver in 2014. The following year, he followed Whitt to Front Row Motorsports. In all, Cox has 80 races of experience as a Cup-level crew chief, also working with drivers including Brian Vickers and Scott Speed. Cox also has 82 races of experience as a crew chief in the Xfinity Series, working with drivers including Whitt, Shane Hmiel, David Stremme, Kenny Wallace, Kenny Habul and Chase Miller.